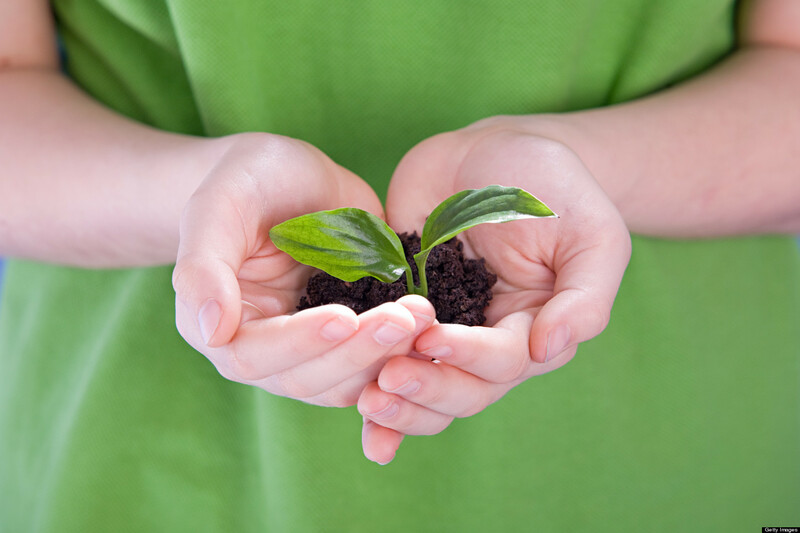 The world is celebrating Global Environmental Day today on Friday, 5th June, 2015. The day is one of the initiatives of The United Nations Environment Program and calls itself “the biggest day for positive environmental action,” which might be needed now more than ever. UN believes that observing this day is the principal vehicle for encouraging worldwide awareness and action for the environment. Secretary-General of UN, Ban Ki-Moon, is of view that, although individual decisions may seem small but can make a tremendous difference, in the face of global threats and trends, when billions of people join forces in common purpose. But in Azad Kashmir government is either unaware or lacking will, power or resources to make an effort to do anything to preserve the environment especially after the deadly earthquake of 2005. Facilitating plunder of natural resources and cutting of forests is all AJK Puppet Government is capable of, doing so is actually preparing the grounds for a second earthquake hit or maybe another kind of natural disaster. No actions yet have taken in this regard so far. Not even a study has been conducted on the damages of 2005 earthquake. According to Ejaz Ur-Rehman who wrote a leaflet, titled “Environmental Issues and Need of Sustainable Development in the Earthquake Affected Areas, State of Azad Jammu and Kashmir Pakistan”, in 2008, following are the key environmental issues which Azad Kashmir would be facing in future. Biodiversity loss and migration of wildlife species. Flash floods and continued landslides/Soil erosion. Pressure on dwindling natural resources. Deforestation for fuel and construction/ Shelter purposes. Health hazard due to poor sanitation and inadequate waste/debris management practices. Increased transportation of construction material. Dumping of debris in dry watercourses and on river/streams sides. The damages due to heavy silt deposits in the river feeding to the Mangla water reservoir. The government claims that on local level civil society is organized and effective for the protection of forests with the help of Tahaffuz-e-Janglaat Committees comprising of forest department and local communities in each area. But figures indicate that 40 percent reduction occurred in forests after the partition of the subcontinent in this area. Other reports say that the area which was 50 percent covered with forests in 1947, has only remained 7 percent which is not only alarming but poses a serious question on the will and power of Azad Kashmir government to protect its forests. The Treaty of Amritsar was signed on March 16, 1846, between the British East India Company and Gulab Singh Dogra to formalize the arrangements which were made in a peace treaty at the end of the First Anglo-Sikh War. In article three and four of that peace treaty which is commonly known as the Treaty of Lahore, Sikhs (Lahore Government) agreed upon ceding all their forts and territories situated between the Rivers Beas and Sutlej. They agreed upon paying one and a half crore (15 million) of Rupees for the expenses of the war in reparations, and in case being unable to pay this amount, they agreed, ceding all their forts and territories in the hill countries situated between the Rivers Beas and Indus, including the provinces of Cashmere (Kashmir) and Hazarah. As per the agreement, when Lahore Government (the Sikhs) failed to pay the whole of this sum immediately, it ceded some of its territories, including Hazara and Kashmir, as equivalent to one crore rupees (10 million). Now the Maharaja of Kashmir Gulab Singh Dogra was required to pay his share immediately to get his territories back. The British recognized Gulab Singh as a Maharaja directly tributary to them on payment of 75 Lakh of the war-indemnity and this payment was justified on account of Gulab Singh legally being one of the chiefs of the Kingdom of Lahore and thus responsible for its treaty obligations. So the narrative which is widely spread that “Mahraja Gulab Singh Dogra purchased Kashmir against 75 Lakhs’’, is either a misconception or a propaganda, because the grounds on which this agreement is propagated as “the treaty of sale” do not have any references. Neither the Treaty of Lahore nor the Treaty of Amritsar mentions this as a sale but a transfer of what Lahore Government annexed to the British Government. So it was not a purchase but a reclaim, as Article 1 of the Treaty of Amritsar says, “The British Government transfers and makes over forever in independent possession to Maharajah Gulab Singh and the heirs male of his body all the hilly or mountainous country with its dependencies situated to the eastward of the River Indus and the westward of the River Ravi including Chamba and excluding Lahol, being part of the territories ceded to the British Government by the Lahore State according to the provisions of Article IV of the Treaty of Lahore, dated 9th March, 1846”. Again in the article 3 of the treaty the word transfer is used instead of sale which shows that the Treaty of Amritsar was not in any sense the treaty of sale of Kashmir, it says, ‘’ In consideration of the transfer made to him and his heirs by the provisions of the foregoing article Maharajah Gulab Singh will pay to the British Government the sum of seventy-five lakhs of rupees (Nanukshahee), fifty lakhs to be paid on or before the 1st October of the current year, A.D., 1846”. The treaty between the British Government on the one part and Maharajah Gulab Singh of Jammu on the other concluded on the part of the British Government by Frederick Currie, Esq. and Brevet-Major Henry Montgomery Lawrence, acting under the orders of the Rt. Hon. Sir Henry Hardinge, G.C.B., one of her Britannic Majesty’s most Honorable Privy Council, Governor-General of the possessions of the East India Company, to direct and control all the affairs in the East Indies and by Maharajah Gulab Singh in person – 1846. Article 1. The British Government transfers and makes over forever in independent possession to Maharajah Gulab Singh and the heirs male of his body all the hilly or mountainous country with its dependencies situated to the eastward of the River Indus and the westward of the River Ravi including Chamba and excluding Lahol, being part of the territories ceded to the British Government by the Lahore State according to the provisions of Article IV of the Treaty of Lahore, dated 9th March, 1846. Article 2. The eastern boundary of the track transferred by the foregoing article to Maharajah Gulab Singh shall be laid down by the Commissioners appointed by the British Government and Maharajah Gulab Singh respectively for that purpose and shall be defined in a separate engagement after survey. Article 3. 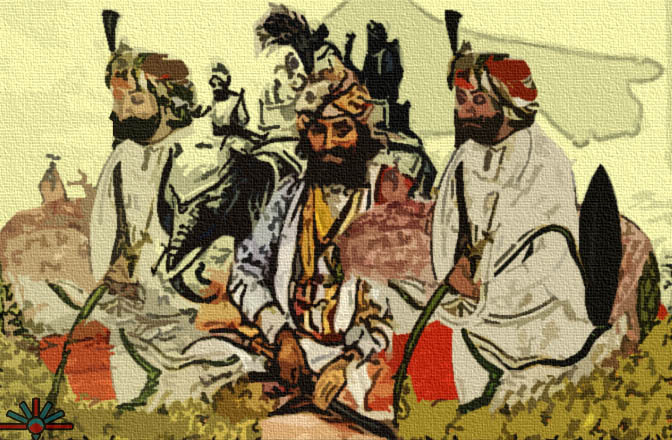 In consideration of the transfer made to him and his heirs by the provisions of the foregoing article Maharajah Gulab Singh will pay to the British Government the sum of seventy-five lakhs of rupees (Nanukshahee), fifty lakhs to be paid on or before the 1st October of the current year, A.D., 1846. Article 4. The limits of territories of Maharajah Gulab Singh shall not be at any time changed without the concurrence of the British Government. Article 5. 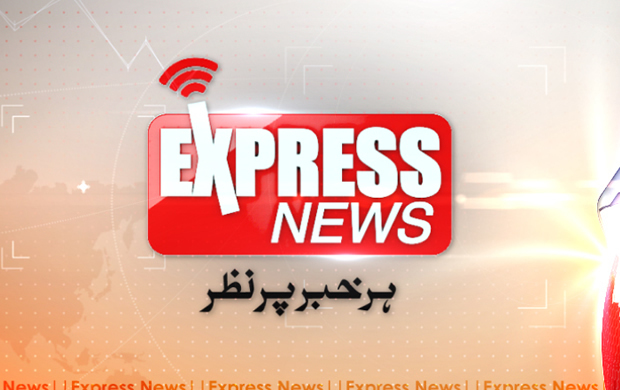 Maharajah Gulab Singh will refer to the arbitration of the British Government any disputes or question that may arise between himself and the Government of Lahore or any other neighboring State and will abide by the decision of the British Government. Article 6. Maharajah Gulab Singh engages for himself and heirs to join, with the whole of his Military Forces, the British troops when employed within the hills or in the territories adjoining his possessions. Article 7. Maharajah Gulab Singh engages never to take to retain in his service any British subject nor the subject of any European or American State without the consent of the British Government. Article 8. Maharajah Gulab Singh engages to respect in regard to the territory transferred to him, the provisions of Articles V, VI and VII of the separate Engagement between the British Government and the Lahore Durbar, dated 11th March, 1846. Article 9. The British Government will give its aid to Maharajah Gulab Singh in protecting his territories from external enemies. Article 10. Maharajah Gulab Singh acknowledges the supremacy of the British Government and will in token of such supremacy present annually to the British Government one horse, twelve shawl goats of approved breed (six male and six female) and three pairs of Cashmere shawls. This Treaty of ten articles has been this day settled by Frederick Currie, Esq. and Brever-Major Henry Montgomery Lawrence, acting under directions of the Rt. Hon. Sir Henry Hardinge, Governor-General, on the part of the British Government and by Maharajah Gulab Singh in person, and the said Treaty has been this day ratified by the seal of the Rt. Hon. Sir Henry Hardinge, Governor-General. Done at Amritsar the sixteenth day of March, in the year of our Lord one thousand eight hundred and forty-six, corresponding with the seventeenth day of Rubee-ul-Awal (1262 Hijri). Catch all parties, usually do not have any well-defined ideologies, because they do not need them, but if by chance, they have one, it would be so something which even philosophers and political scientists are sometimes not aware of. All Jammu and Kashmir Muslim Conference’s military democracy is such a case. Days ago in a discussion on democracy with our “Civil Society and World Politics’’ course’s moderator, Dr. Ejaz Bhatti, we discussed different types and shades of democracy. I asked doctor’s opinion on military democracy and he was as astonished as anything. Maybe it was natural of him. Maybe someone else in his place would have listened to this animal first time. After all, political scientists are also human beings and not bound to know everything. But a stub article on Wikipedia, titled, “ Atique Ahmed Khan’’, claims that “he is the founder and visionary of the ideology “Military Democracy” (civil-military governance) which is designed to get efficient governance and obstruct martial law or military coup in Pakistan.” Interestingly the term was most definitely coined under some martial law, because Muslim Conference served every dictator, from Ayub Khan to Prevez Mushraf. So the only way of obstructing a martial law as Muslim Conference head proposed, is to make a dictator, the supreme chief. After reading the Frederick Engels’s characterization of military democracy it seems clear that Muslim Conference’s head, seeks no difference in barbaric Greek Heroic Age and 21st Century, he also finds no difference barbarians of that time and people of this age living in Pakistan and Pakistan-administered Kashmir. I am afraid he might not also be thinking of Kashmiris as plunders who are not engaged in productive work and in his view are possibly involved in the regular profession of plundering. 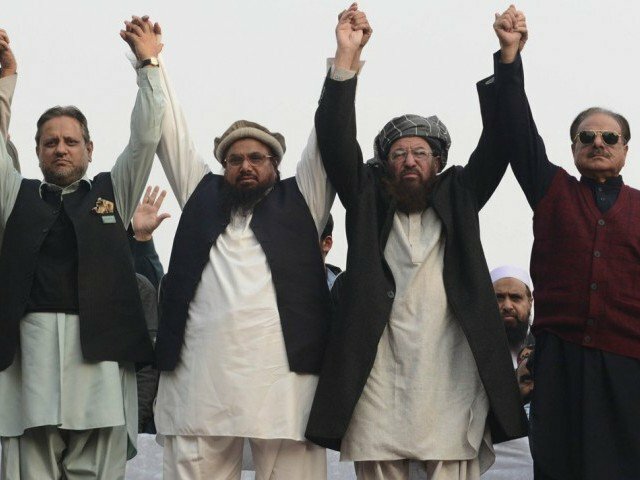 So, I started relating the idea of military democracy and the content of his speech in a rally of Jamaat-ud-Dawa in Islamabad lately, in which he has said, Pakistan People’s Party and Muslim League have abandoned us (Muslim Conference) and now we have no option but to stand with Jamaat-ud-Dawa. Now, Hafiz Saeed and Jamaat-ud-Dawa’s democracy is not unknown to anyone who got senses. So in short Muslim Conference’s head and so-called founder and visionary of military democracy is now protecting that hypothetical supreme chief through militant democracy of true militants.